The Cleveland Cavaliers are on the verge of embarking on a voyage to the unknown. After spending the last four seasons with LeBron James leading the way, the Wine and Gold are now without the best player on the planet and have to see what their team is made of without LeBron’s playmaking ability. With a 2-2 preseason that saw them defeat the Boston Celtics twice in a row before losing to the Indiana Pacers and Detroit Pistons, there’s plenty to analyze. I’ve discussed the primary concerns Cleveland should have after an up-and-down preseason, it’s clear that the Cavaliers have a long way to go to reaching their potential. Nonetheless, Cleveland shown the potential to be the playoff team they hope to be as well. In this piece, I’ll look at promising trends heading into the 2018-19 season and the three main factors that should contribute to their ability to reach their goals. Although the Cleveland Cavaliers only scored 106.8 points per game in the preseason (tied for 22nd among NBA teams), they also had an offensive rating of 106.8 (ranked 10th among NBA teams). The disparity between their ranking in offensive rating and points per game is interesting. As offensive ratings and defensive ratings are based on per 100 possessions, the data suggests that if all teams received the same number of possessions, the Cavaliers would be one of the ten best scoring teams in the league. However, despite their directive to push the pace, Cleveland only attempted 86.0 field goal attempts per game (ranked 20th among NBA teams) and had a PACE (number of possessions per 48 minutes) of 100.0 (ranked 28th among NBA teams). So what’s promising about this? 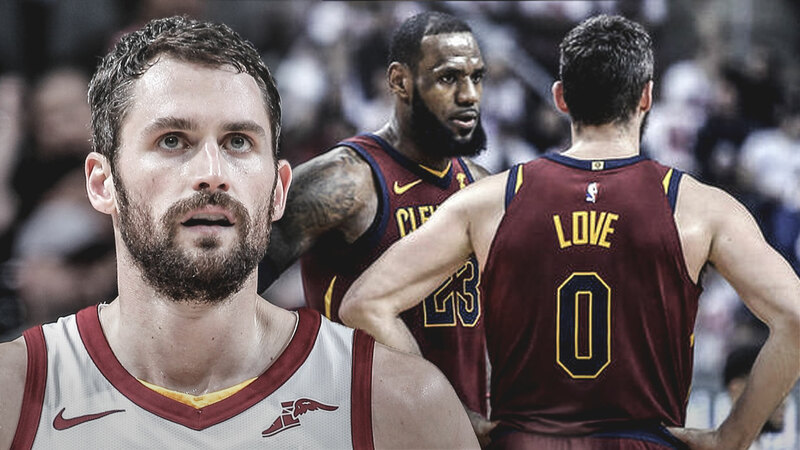 These are their numbers with five-time All-Star Kevin Love, who averaged 35.4 points per 36 minutes and 45.9 points per 100 possessions, only playing one game. Frankly, the offense will only look better with Love in it, especially when Love’s backup at power forward (Sam Dekker) only averaged 9.9 points per 36 minutes and 13.6 points per 100 possessions. No player ever really reaches their per 100 numbers but their per 36 numbers are a much more realistic measure of how they’ll product. That said, though Love only played in one game in the preseason, he averaged 22.7 points per 36 minutes last season. That’s still 12.8 points more than Dekker averaged per 36 minutes this preseason. If you add that to the Cavaliers’ scoring average in the preseason, Cleveland would have been ranked 3rd in points per game, just above the Washington Wizards. If you add even half of that, they’d still be ranked in the top-10, just above the Portland Trail Blazers. With the Cavaliers averaging 110.9 points per game last season (ranked fourth in the NBA) and an offensive rating of 112.0 (ranked fifth in the NBA), it’s hard to imagine Cleveland looking better on offense than they did last season. However, with players being allowed to play their games rather than adjusting to LeBron James’, they may be even better at putting points up on the board. Besides Love, Jordan Clarkson (23.2 points per 36 minutes), Rodney Hood (21.0 points per 36 minutes), Kyle Korver (21.0 points per 36 minutes), Cedi Osman (18.3 points per 36 minutes) and Collin Sexton (15.9 points per 36 minutes) all looked like players capable of putting pressure on the defense on a nightly basis. Especially if they play at an uptempo pace. It’s not perfect but the Cleveland Cavaliers have certainly made strides in their halfcourt defense. There’s far more defensive effort than there’s been in seasons past thanks to players like Osman, who will guard the opposing team’s best wing players throughout the season. The rotations are more crisp than they were last year. Players who aren’t even considered reputable defenders have done well as individual and team defenders. Hood has been aggressive as an individual defender and done a fine job communicating on the backside. Clarkson has continued his defensive effort from the postseason, applying pressure to opposing ball-handlers. Korver has still shown that he has a knack for stripping the ball, even though his lateral agility is still a concern for the Cavaliers. In addition, players like point guard George Hill and center Tristan Thompson have looked more spry than they did last season. When he’s defending pick-and-rolls, they’ll need to be more in-sync but there’s their burst and agility have been promising signs. From Sexton to Larry Nance Jr., the Cavaliers have players with varying degrees of impact as defenders but positive impacts nonetheless. Furthermore, with players like defensive stalwart David Nwaba on the bench, Cleveland has the option to supplant players like Korver with better defensive players if they need to. The power forward position is perhaps the most concerning, as Love’s offensive responsibilities could cause his defensive effort to falter. However, Love has changed his physique and knows how to use his length and basketball IQ to be a solid defender, even if his conditioning and lack of athleticism will always be a concern. Luckily, Dekker can give Love the short breathers he needs if he gets tired. Dekker isn’t elite in any one area but he’s alert, agile, intelligent and long (6-foot-7 with a 7-foot wingspan). As Hood would tell reporters following Monday’s practice, “Defensively is where we’ll make our mark. We’ve got to be tough and grimy” (per the Morning Journal‘s David S. Glasier). More rebounds = More possessions. More possessions = More opportunities to score. More rebounds = A better chance to win. That’s how the math breaks down when it comes to rebounding and for the Cleveland Cavaliers, who lost 8.6 rebounds per game when LeBron James decided to leave Cleveland for Los Angeles, finding a way to dominate on the glass will be a collective effort. Cleveland has certainly looked like they’re prepared to crash the boards without LeBron though. It’s been quite some time since the Cavaliers had multiple non-centers who would fight for nearly every rebound but it’s happening now. Sexton (4.5 rebounds per 36 minutes), Hood (4.8 rebounds per 36 minutes), Clarkson (8.1 rebounds per 36 minutes), Nwaba (8.2 rebounds per 36 minutes) Nance Jr. (12.1 rebounds per 36 minutes) and Thompson (13.3 rebounds per 36 minutes) all showed that they can clean up the glass in the preseason, even without Love. Love, who averages 11.3 rebounds per game for his career, averaged 8.3 rebounds per 36 minutes in the preseason (one game). In fact, as a team, the Cleveland Cavaliers collected 51.8 percent of all possible rebounds this preseason (tied for 11th among NBA teams) and 29.2 percent of their offensive rebound opportunities. (ranked 10th among NBA teams). They collected 47.3 rebounds per game (ranked 12th among NBA teams) and 11.5 offensive rebounds per game (ranked 9th among NBA teams). Last season, the Cleveland Cavaliers only collected 49.2 percent of all possible rebounds (ranked 24th in the NBA) and 24.3 percent of their offensive rebound opportunities (tied for 27th in the NBA). They would average 42.1 rebounds per game (ranked 23rd in the NBA) and 8.5 offensive rebounds per game (ranked 27th in the NBA).